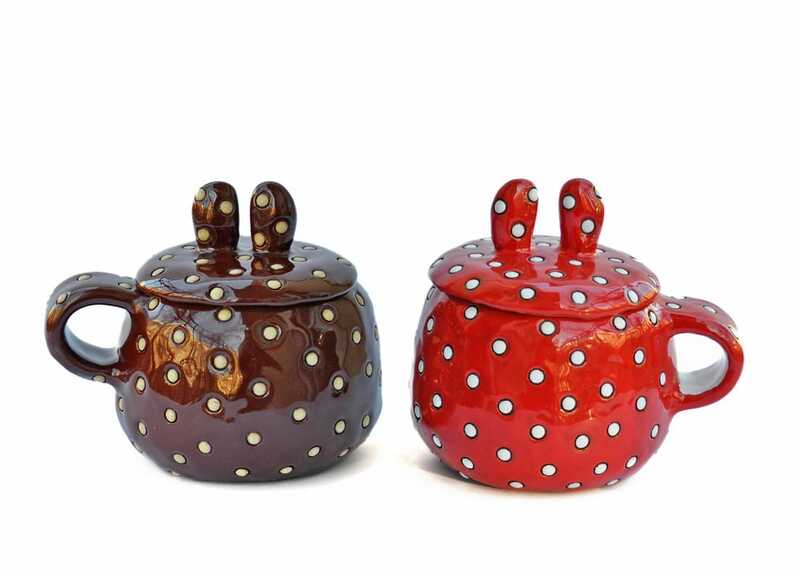 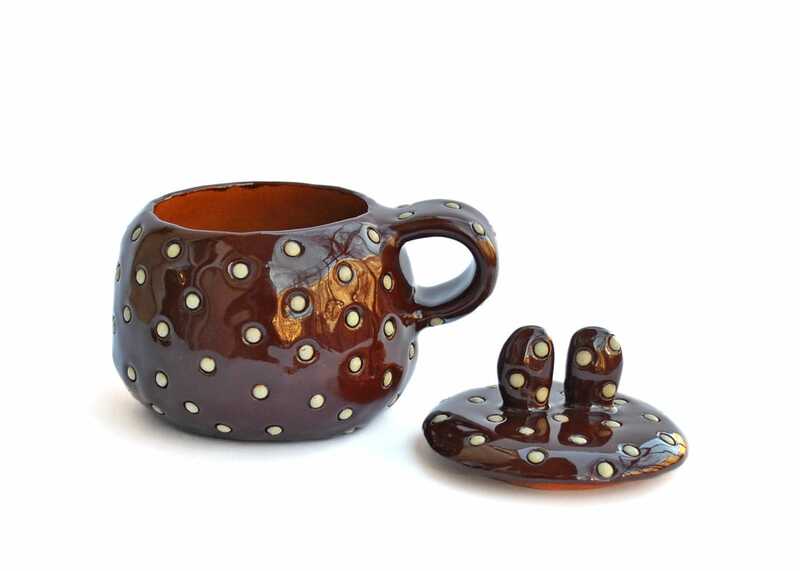 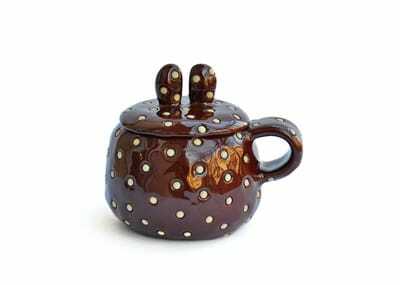 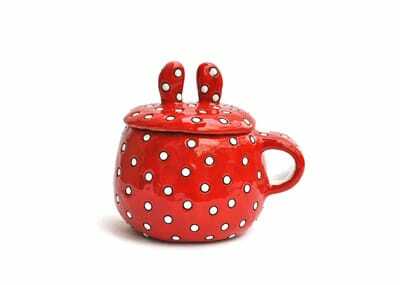 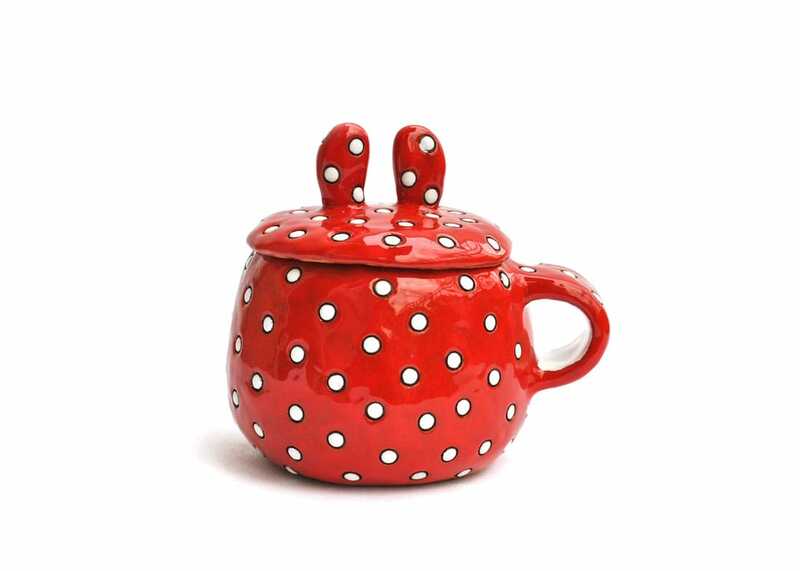 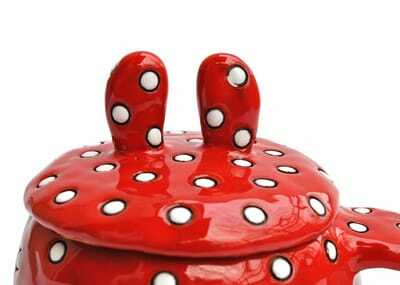 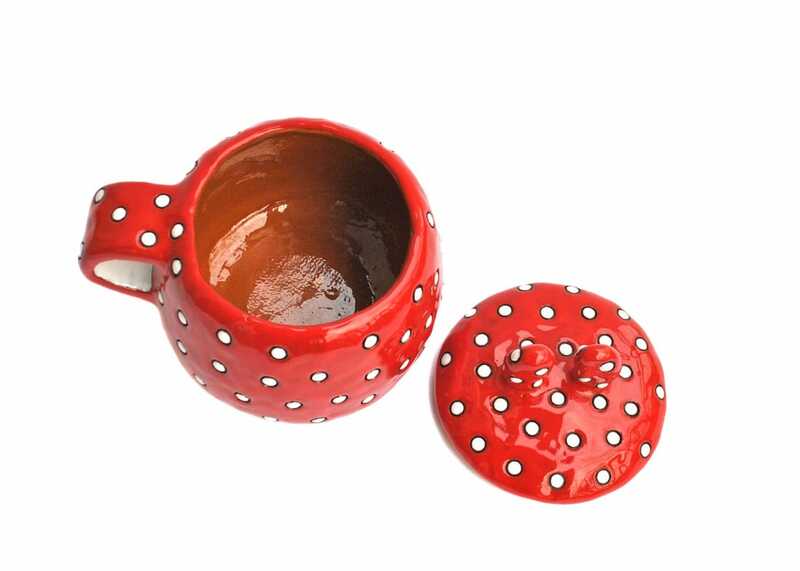 A cheeky cup with a lid and bunny ears covered in a classic vintage red and white or mouth watering chocolate and cream polka dots pattern. ​Perfect breakfast table spark to sip your morning coffee with a wink. The cups are approximately 10 cm (4 inches) tall.